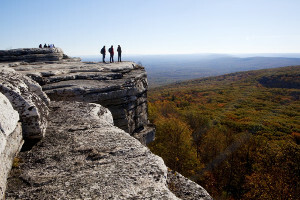 Resting on 200 acres of beautiful rolling hills around a freshwater lake and surrounded by the Shawangunk Mountain Range, Honor's Haven Resort is a little slice of paradise in New York's magnificent Catskills region. This incredible destination lets you take a break from the hustle-bustle of the office and indulge in a more laid-back setting, where the refreshing mountain views will inspire your entire team. Honor's Haven Resort features 232 elegant rooms and suites as well as sophisticated venues onsite to host any-sized meeting or event. But what truly makes Honor's Haven stand out from the rest is their assortment of onsite programs that welcome you to engage, have fun, and make memories that will last a lifetime. They provide a packed schedule of entertainment that range from the adventurous to the healing. Whether you're here for a large conference or a small board meeting, you're guaranteed to find a program that's just right for you. Honor's Haven is partnering with industry leaders in the fields of team-building, professional development, and interactive entertainment so you can expect a truly incredible time away with your colleagues. Group programs such as soothing wellness classes that include yoga and tai chi, and guided meditation/hiking through the resort's beautiful trails are perfect ways to build the bond between your team members as well as strengthen each individual's mind, body, and soul. During the weekends, you can also stop by the onsite Zephyr Lounge to play fun bar games and free karaoke! And if that's not enough, not to worry. Honor's Haven is home to a luxury spa that offers an extensive menu of rejuvenating massages, body treatments, body scrubs, and facials. Onsite you will also find an indoor and an outdoor pool, a beautiful labyrinth garden and healing park, tennis courts, and the Fallsview Golf Course, designed by Robert Trent Jones Sr. Let their professional staff assist you in booking tee times on the course or a session at the massage and enjoy the chance to unwind in-between all your hard work! Honor's Haven is committed to helping you create the best business retreat imaginable. Their fun-filled team-building programs are just the beginning of your getaway. 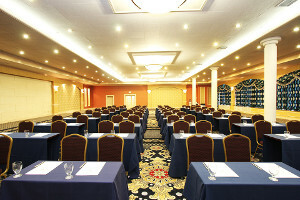 You'll find a selection of beautiful meeting rooms to choose from and a friendly staff that will assist you with all the details from lodging to catering services. No matter when you're considering hosting your next New York corporate event, Honor's Haven is here to make it absolutely successful!